Why bad 3D, not 3D glasses, is what gives you a headache article tells that it’s not the 3D technology’s fault, it’s really the baddly made 3D content that can cause the headaches some people get at 3D movies. There are several common mistakes that can cause discomfort, and easy ways for that to be reduced, yet they’re only just being learned and put into regular use. 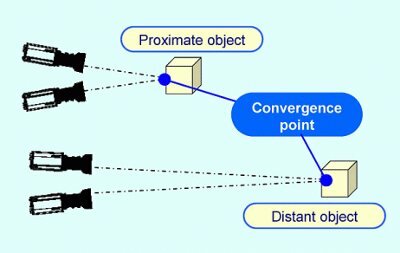 The interaxial, or the distance between the two cameras, controls the overall depth of the 3D effect. It’s important not to increase the interaxial distance too much. Filmmakers are just gradually gaining experience with what types of scene work with different depths of 3D. Convergence needs to be handled properly in post-production. Many mistakes are made by inexperienced 3D film makers, from poor composition of shots, through uncomfortable convergence settings, to overuse of on-set monitors without viewing their content on a big screen. GRAPHICS CHIP DESIGNER Nvidia has managed to score something of a coup by getting Youtube to support its 3D Vision technology. Nvidia has been pushing its 3D Vision technology hard for the best part of two years and its forecasts suggest that the number of 3D PCs will triple year-on-year until 2013 and hit 40 million by 2015. Nvidia’s 3D Vision software supports HTML5 video streaming on Mozilla’s Firefox 4 web browser. While Nvidia announced support for Firefox 4, in the past few months, Youtube users have reportedly been seeing a 3D Vision option for 3D videos on both Google’s Chrome and Firefox web browsers, and Nvidia’s recent driver releases do cite 3D Vision support in Chrome. IT’S HARD to hide from three-dimensional (3D) display technology, which is being pushed by display and film makers across the board. However, several problems have held it back from really taking off. Despite this tentative mass media start, the big problem holding back the adoption of 3D capable TVs and other displays is lack of knowledge. For starters, 80 per cent of people don’t know that 2D to 3D conversion exists. Slightly more worryingly, 20 per cent think that a 3D TV or other display can only show 3D images and not 2D as well. It is naivety like this that prevents people from buying into 3D technology. To add to the confusion there are several different types of 3D technology to choose from, which creates a minefield for potential buyers. I started this blog 2009. The issues with hackers can be handled by keeping the platform up-to-date (especially updating when serious security issues are found) and selecting carefully which plug-ins to use (use only safe ones).